These tender and sweet cornbread muffins go perfectly with any barbecue or southern style dish! Growing up with family in Louisiana, I'm used to eating a lot of Southern foods and Southern dishes. Catfish, hush puppies, cornbread, sweet tea....all that delicious stuff. My grandparents lived there during my childhood so I spent a few weeks down there almost every summer. I'm fortunate I learned to cook some of that deliciousness from my grandma and mom, too! 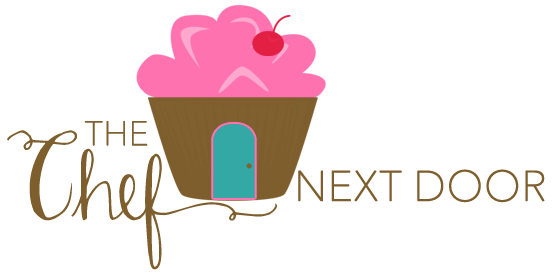 I've always cooked with cornmeal, but I recently discovered a new ingredient that has quickly become my new favorite pantry staple, P.A.N. Cornmeal. Already a staple ingredient in most Venezuelan homes, it's now making its debut in the U.S. and has proven an ideal addition to many American pantries. P.A.N. Cornmeal is the number one cornmeal in South America. Corn is native to the Americas, but because of its rich nutrients and versatility, cornmeal is a staple in countries all over the world. When you think of cornmeal, most people naturally think of cornbread. I know I do the same. I decided to use P.A.N. as my inspiration to make these delicious Raspberry Honey Cornbread Muffins. Made with fresh buttermilk and local raspberry honey, they are soft, tender, and sweet. If you can't find raspberry honey, no problem. Feel free to use plain honey, or any other flavored honey you can find at your local market. 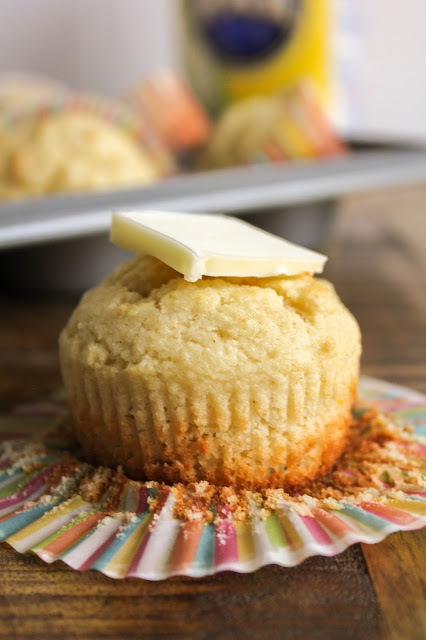 This is a quick and easy recipe and these muffins can be on your table in no time. Perfect for breakfast or brunch, or as a side for your barbecue or picnic, the recipe is quite versatile. Enjoy! Preheat the oven to 400 degrees. 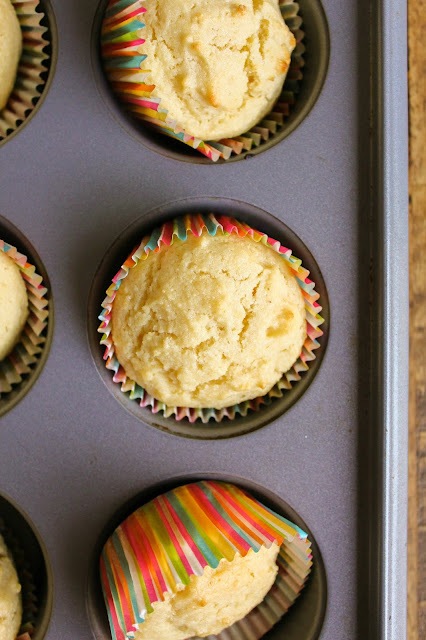 Place muffin paper liners in a 12-cup muffin tin and set aside. In a large bowl, whisk together the corn meal, flour, baking powder, sugar, and salt. In another bowl, whisk together the buttermilk, eggs, butter, and honey. Add the wet ingredients to the dry ingredients and stir until just mixed. 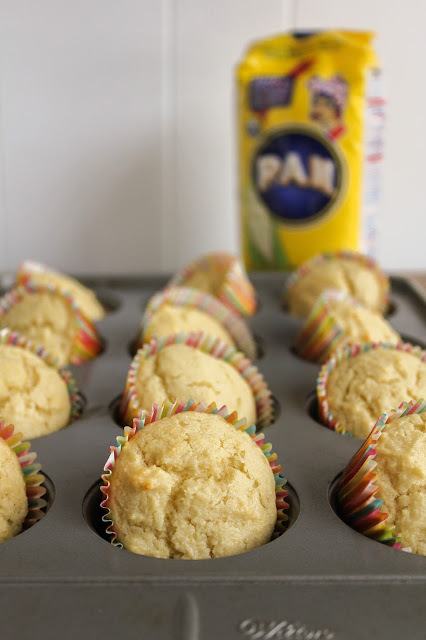 Evenly divide the cornbread mixture into the prepared muffin tin. Bake for 15 minutes, or until the muffins are a light golden brown. Serve warm.